Dr. Ladan Boroumand is the co-founder of the Abdorrahman Boroumand Center for the Promotion of Human Rights and Democracy in Iran, a nongovernmental organization that promotes human rights awareness through education and information dissemination, including by way of the online human rights library Omid memorial, a website that documents human rights abuses committed by the Islamic Republic and memorializes its victims. In addition, she serves on the Steering Committee of the World Movement for Democracy. A historian by training, she is the author of the book La Guerre des Principes (1999), which examines the tensions between human rights and national sovereignty during the French Revolution, and has also published articles on the French Revolution, the Islamic revolution in Iran, and the nature of Islamist terrorism. 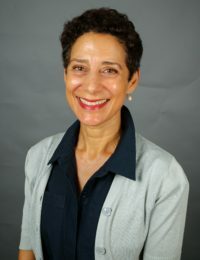 During her fellowship, Dr. Boroumand laid the groundwork for multiple projects that shed light on secularization in Iran. In doing so, she gathered and analyzed data and commentary on a history of secular ideas in Iran, contemporary debates within the Iranian intelligentsia as well as within the Shi’a clergy, and the phenomenon of conversion to different apolitical and mystic schools of Islam and other religions. She worked on several shorter written pieces to share her insights, with the ultimate goal of writing a monograph in Persian addressing these issues in-depth after her fellowship. Through her monograph, she seeks to offer a counter-narrative to the Iranian government’s propaganda regarding Western secularism and hopes to educate Iran’s human rights and pro-democracy communities on the essential correlation between secularization and liberal democracy.